Are you one of the thousands of PHP Developers who love Drupal? If you are, great and you can back me up. And if you’re not, even better. This developer article is just for you. I want to convince you that Drupal isn’t just worth a try; it’s worth setting aside Joomla and WordPress. For PHP Developers, Drupal is becoming the best by far, and you can blame the people behind Drupal 8 for that. PHP Developers everywhere are falling in love with Drupal, and not just because of its vast resources supporting developers who want to learn Drupal 8 or the fact that performance boosts from PHP 7 make it faster. No, there’s more to it than that. 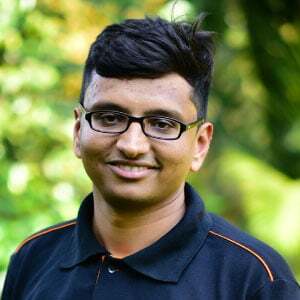 First-rate Drupal Evangelists like Jam McGuire and Hussain Abbas observed the growth of the Drupal community, noting that Drupal 8 is the first product of the PHP-FIG era. This period is the age of when PHP projects can come together. Drupal 8 is a meta-collection of home-grown code, mixed with Symfony2 framework components and third-party libraries. What this means is that WordPress, Joomla, TYPO3, and others can stop “competing” on standard, commodity functionality. Now we can start benefiting from sharing code instead. Drupal adopted a Proudly Invented Elsewhere (PIE) or Not Invented Here (NIH) philosophy and built a highly interoperable system which led to clean, testable, and reliable code. Drupal was rewritten to be highly interoperable and to work with modern PHP frameworks and components. Yes, it’s about the code. Interoperable, clean, testable, reliable code! Drupal was rewritten to work with a broad range of PHP components, and the most suitable went in Drupal Core. It’s now a modern PHP application with a clean object-oriented design, interoperable with many components and enjoying massive test coverage. It wasn’t always like this. Drupal was pretty much isolated from the PHP community. Drupal 7 had its implementation approach and standards, so it felt more like a separate island, distant from other PHP communities. Most PHP frameworks were using a similar programming paradigm and were sharing object-oriented practices. Being a PHP Developer had meant working with any framework (Symfony, Laravel) but not Drupal 7. The D7 learning curve was different. For developers coming from different PHP communities or backgrounds, it was a drag. But now Drupal 8 resembles other PHP frameworks. Because Drupal 8 was completely rewritten using various modern PHP framework components, it has much more of a resemblance to them and is easier to learn. The learning curve is smaller than ever for developers used to working with other systems. As Drupal 8 is using standards similar to most of the PHP community frameworks and content management systems, it’s easier for mainstream developers to jump into Drupal 8 and get insights quickly. Apart from that: it has better architecture, cleaner code, and more interoperability. There's out of the box goodness. As many PHP developers tend to write custom code or user some external library for site building, like: login, user management, and various essential purposes. Drupal still provides all these core functionalities out of the box and in a secure way. Don't forget Packagist and Composer! Just like other top PHP frameworks, Drupal 8 is using Composer. So it’s quick and easy to find and use. And yes, you can write your libraries and contribute those back to PHP eco-system! We're talking about one of the largest and most vibrant Open Source communities in the world. Drupal.org is the center of this huge, hyperactive community of users and developers—101,543 users actively contributing to the project overall. 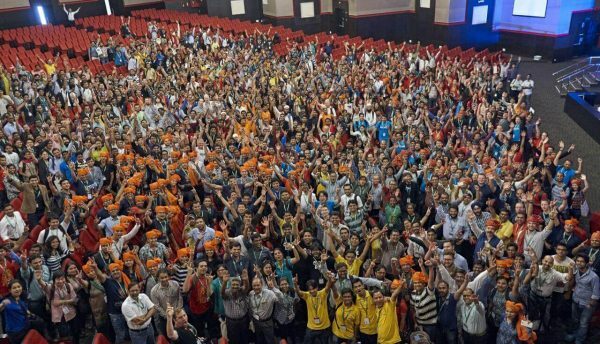 DrupalCons are large conferences that draw thousands and occur in cities in Europe, North America, Australia, Latin America, and Asia—28 and counting. Dozens of Drupal Camps occur throughout the year all over the world as do hundreds of informal Drupal Meetups. Drupalers come from all over the world to share learnings, evolve as a community, and integrate. The community is everywhere, and it'sThey're about singing about Drupal, dancing about Drupal, and—of course—joking about Drupal. And the community is growing. Attendance at DrupalCon increased from 500 at Szeged in August of ‘08 to over 3,100 people at New Orleans in June of ‘16. The Drupal 8 project alone credits over 3,000 individual contributors (versus 954 Drupal 7 contributors) and contribs are increasing. I’m a PHP Developer, who started way back with Drupal 6, and I fell in love with Drupal when I realized that there’s a module for everything. The community welcomed me in, and I never left. Despite loads of PHP frameworks in the marketplace to choose from. Take it from me and so many other PHP Developers like me: there’s something special about Drupal.